Stars And Garters: Friday Night Fights: Battling Jack - Round Two: Putting Your Heads Together! Friday Night Fights: Battling Jack - Round Two: Putting Your Heads Together! 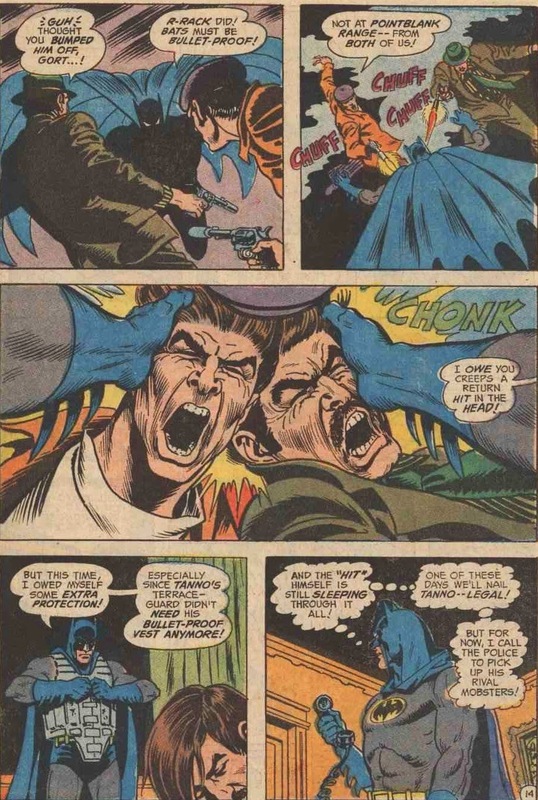 Tonight's round of Friday Night Fights: Battling Jack features some classic Batman head-knocking courtesy of Detective Comics#430, written by Frank Robbins and illustrated by Bob Brown and Nick Cardy. Tonight's synopsis is short and sweet: The Dark Knight tries to thwart a mob hit. Let's see if he succeeds, shall we? Looks like they have the drop on our hero. Or do they? And so the Caped Crusader proves the classic scientific principle: Two heads CHONK better than one. Underscoring tonight's lesson in duality is this special fight song by Rob Base and DJ Easy Rock. For more two-headed tussles, click here. And don't forget to vote! One would think that the Bat Suit would already be bullet proof. According to post-Crisis stories his suit IS made of Kevlar, but I don't think the 70's had established this yet. 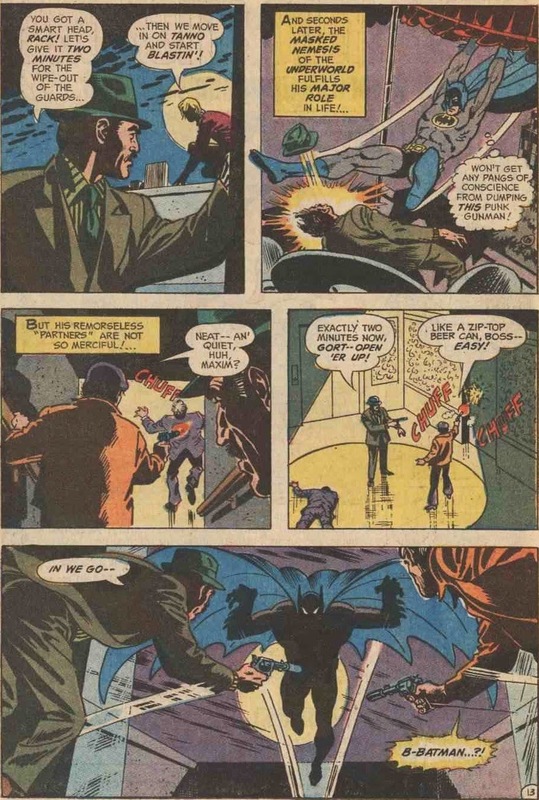 Also, the bullets may not puncture the body with just his Kevlar Bat-Suit but the impact will likely still HURT and even BRUISE, so the more protection, the merrier. Take it from someone who bruised his ribs on his honeymoon. I'm not going to ask!